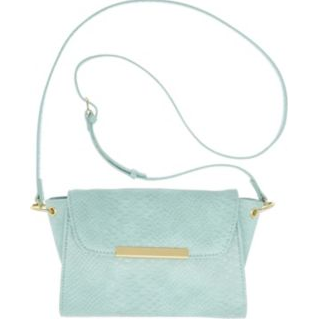 Steve Madden BMika Crossbody. Great purse for casual or formal events. Polyurethane. Cotton lining, magnetic closure, 23" strap drop, 6" High, 7.75" wide. Comes in colors: Blush; Mint.